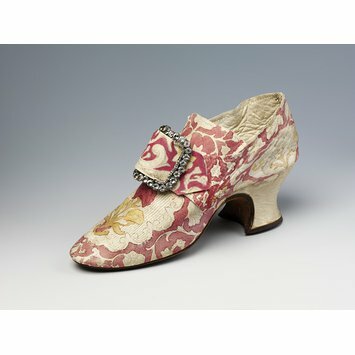 This pair of elegant women's shoes, in kid leather, is beautifully decorated with a painted design. The pattern on the toe, with its flower, vertical lines and scalloped edges, resembles Brussels bobbin lace. The latchets would have been fastened with a buckle. 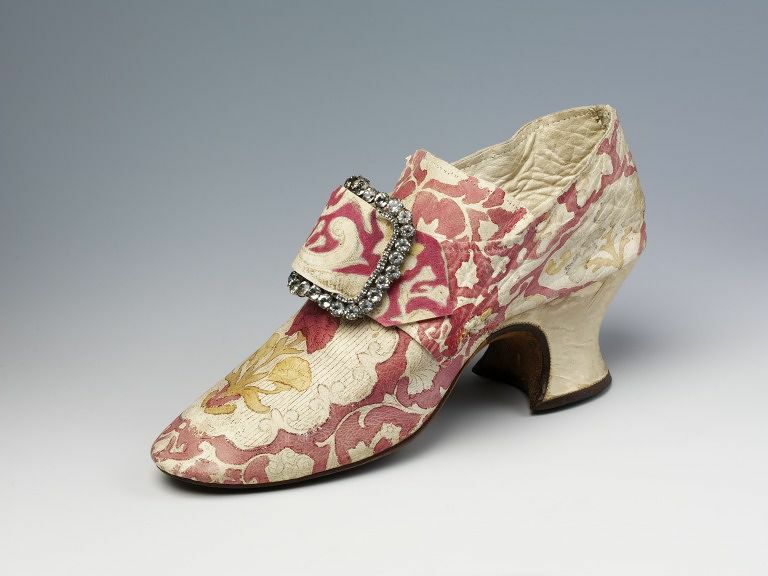 In 1767 Lady Mary Coke recorded in her diary that she had bought six pairs of painted shoes from a shop in Brussels. Pair of women's shoes of kid leather with a painted design.